When challenged with coming up with a name for a sequel to Lucky Larry’s Lobstermania, the guys at IGT must have thought long and hard before adding a 2 to the end of the original title. But this is a direct development of a popular pokie and if they had called it something completely different then players wouldn’t have known about it and perhaps missed out on a fun game that should appeal to just about everyone. Although the original can still be found, the enhanced graphics and features of the sequel have mostly replaced it across land based and online casinos. With 5 reels and 40 paylines, Lucky Larry’s Lobstermania 2 sees symbols arranged in 4 rows and has a number of exciting bonus features such as free spins, several pick a prize rounds, multipliers, stacked wilds and if that’s not enough, no less than 3 jackpots prizes. There is even a Rock Lobster soundtrack. The game is set against a backdrop of a rocky shoreline complete with a lighthouse, cliffs and a sunny sky, with some driftwood forming a rustic framework to the reels. The 40 paylines are marked out by coloured lures and along with the game title above the reels, there’s also information on the current worth of the 3 jackpots, named the Light Trap, Full Trap and Mother Lode in order of value. Below the reels is the control panel which allows minimum bets of 0.60 and maximums of 60.00 per spin. In the base game, lining 3 or more matching symbols across any line on adjacent reels running from the left is enough for a win, and the usual 8, 9, 10, J, Q and K will make up the smaller value payouts. Quite why there’s no A symbol is a bit of a mystery, but let’s not worry about that too much. Pictures of a fisherman’s house, lighthouse, fishing boat and float will line up for the bigger prizes, with up to 400x the line bet amount being paid if a full line of either the boat or float appear. These are all pretty standard payouts so far, but the real value of Lobstermania 2 lies in the staggering collection of bonus features and players won’t be trawling the game for long before triggering some of them. 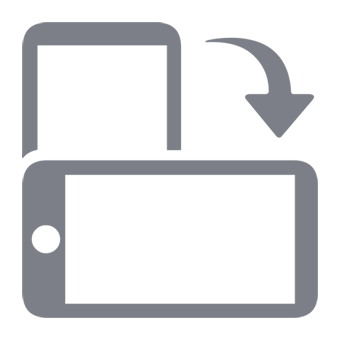 Any picture symbol can have a multiplier applied to it, and if players see 3x or 5x landing on the middle reel as part of a win, the value is multiplied accordingly. For some reason, the 3x won’t appear in conjunction with the fishing boat, but that’s one of several mysteries surrounding this pokie. The biggest multiplier is going to come from winning a jackpot and this can happen on any spin, with 3, 4 or 5 jackpot symbols instantly awarding the Light, Full and Mother Lode wins. 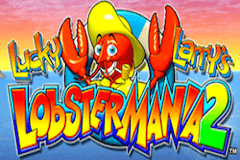 The Lobstermania 2 logo is a bonus symbol and when at least 3 of them land on a line players are given a choice of playing a Buoy Bonus or free spins. The free spins consists of 5 games with richer reels and the chance to retrigger them over and over, but most players will opt for the Buoy Bonus, as this is a much more interesting round that takes place around the world. Players get to select Brazil, Australia or Maine and are given 2, 3 or 4 buoys to pick from. Lobsters are pulled from each buoy onto Larry’s boat, with each valued at between 10x and 575x the coin value. Lucky players will land the Golden Lobster which starts the Octopus, Kangaroo or Pelican round, depending on the location chosen. The games are essentially the same, and just look different, the aim being to pick from Kangaroos, treasure chests or birds to uncover bonus payouts, but finding a Golden Lobster ends the round and all prizes accumulated so far are awarded. Potential payouts vary as well, with up to 800 coins to win in Australia, there’s 1000 off the coast of Brazil and a maximum of 625 coins back in Maine. Few pokies have bonus rounds of such depth, where a couple of screens need to be played through before finding some winning multipliers, but this game is all about the extra features. Players who just like straightforward gameplay where not much happens won’t be attracted to this pokie, but for the rest of us, Lucky Larry’s Lobstermania 2 will be irresistible. Wild multipliers, free spins, a bonus game that takes players around the world and the chance for an instant progressive jackpot win should please anyone who likes variety and excitement in their games, although the trade-off is the relatively high entry point of 0.60 per spin.